Providing top quality lock servicing and repair that’s fast, reliable and won’t cost you the earth. Locksmith Birmingham carry out work on a full range of locks of almost any type, and are guaranteed to get you on the move again. 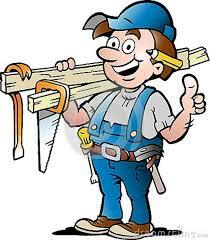 We work on windows, doors, safes, you name it, here there’s nothing we can’t do! Yes, that’s right! Locksmith Birmingham can do any job on any lock! Whether you’re after a more secure type of lock, you’ve been locked out, or you’ve been broken into and need a lock replacing quickly, we will get to all our local customers inside one hour, and will have most jobs done within 60 minutes. We always come equipped with the tools needed for the job. So for a swift lockout service that you can trust, at any time, please feel free to get in touch with us. The worst possible timing is usually when something like being locked out occurs, and we understand the stress that this type of situation can cause. However, no need for panic, just pick up the phone and ring our emergency number. The team of experts here at locksmith Birmingham can handle any lockout situation, and we’ll be sure to make haste for your convenience. Helping you find a resolution in an efficient manner. In the case of you having lost your keys, the Birmingham team would recommend getting the lock replaced, to ensure that you are the sole key holder to your property. Your locksmith Birmingham can provide this instantly as well, with a range of different locks in stock there you can have the issue completely resolved within the space of one visit, leaving you to carry on with what you were doing. So, no matter what the time is, please feel free to get in touch with the locksmith Birmingham team today for your lockout situation. 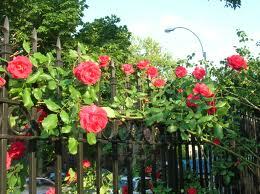 Many love roses for their lovely smell and their beautiful appearance. Some even say that flowers give you peace of mind, and of course that is something that the locksmith Birmingham team agrees upon. But as you all know roses also have thorns, which brings another aspect to the rosebushes for us here at locksmith Birmingham. When looking at things from a security angle, you can easily see the benefit with thorny bushes as something which makes it much harder for someone to enter your garden, or sneak up to your windows. So if you are planning on planting some new flowers in your garden, why not make it roses, or another type of defensive plant which is thorny. If you have a fence which may be at risk of being climbed it’s also a good idea to arrange for defensive thorny plants where you can allow the plant to grown supported by your fence, as illustrated by the picture. This will act as a great deterring factor for most thieves as they are often opportunistic and with thorns where their clothes can easily get stuck they are much less likely to strike your property. 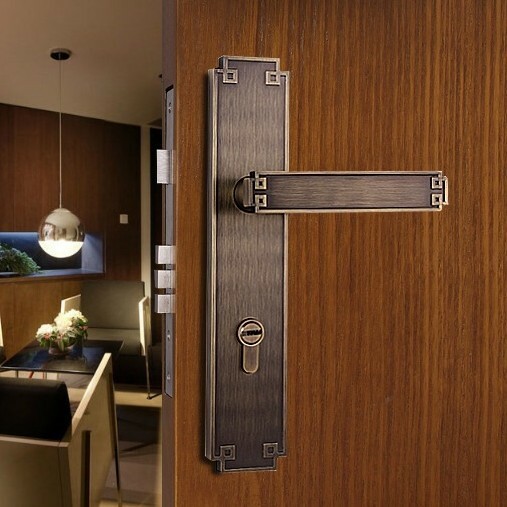 If you are wondering if the security you have for your home or business is up to date, why not check in with one of the experts here at locksmith Birmingham. With having spent such a long time in the industry, and always keeping an eye on the current industry market, we have the best of the concepts and ideas that stand the test of time as well as the latest technology and innovation. At locksmith Birmingham we seamlessly merge these to be able to provide you with the best advice, both for your budget and for your particular security needs. We are always keen to take on new challenges, and if you get in touch we can survey your property, or your place of work in order to provide you with the best advice and expertise available local to you. We can do anything from new lock installations, to central locking solutions and integrated alarm systems. No matter what the need is for the area you reside in, here we’ll help you make sure that you are up to date with the latest and most secure products, that are not only designed for safety, but for your convenience. Speak to one of the guys who are part of our friendly team at locksmith Birmingham today, and get your security solution tailored for you today. It’s always a two way communication with us, we listen to our customers, and will always provide you with as comprehensive and inclusive solution as you are after. When it comes to everything locks the team at locksmith Birmingham are unbeatable. We are not only dedicated to our customers but we are also dedicated to the industry, keeping up to date with it, and always keeping on top of our own practical and theoretical knowledge. Simply, for us, only the best is good enough. This is why we are always checking the new products that come out, and not only try to understand them, in order to incorporate them in our practices in the best possible way for our customers.Making sure to provide the best solution for your individual property, and your individual security needs. The best products on the market, used in an efficient way is something that we at locksmith Birmingham take pride in doing. Our team who are always involved in their own continuous education, and are undergoing training courses on a regular basis have expert product knowledge and training in quick and professional installations. So if there is anything you need fixing, a lock, installing a central locking system, or maybe even getting an alarm installed, get in touch with locksmith Birmingham today. Our team will always respect your time, your wishes, and we’ll take good care of you. The summer, which for many is the best time of year has started with a bang here in the UK. The team here at locksmith Birmingham wants to send you their sunniest wishes and best regards for your holiday. If you have planned to go away from home, maybe it’s to visit a family, or perhaps see a long lost friend it may however be good to be aware of that the house will be unoccupied for a longer period of time. Unfortunately locksmith Birmingham has seen in their own experience that the rate of home intrusions goes up during this season exactly for that reason. So in order to keep your house in the safest possible ways whilst you are away, get in touch with the service in Birmingham. Of course all the staff here are trained to the highest degree, and will be able to help you no matter what type of security needs are right, for you and your property. We also recommend to get one of the affordable alarm systems installed to protect your house and belongings whilst you are not present. They are affordable, and if you speak to any of us here at locksmith Birmingham, we’ll be able to advice you on what is right for you. Having many years of experience in the industry, always making sure to follow the developments within the industry of course you will be met with the highest level of knowledge both in terms of the technology available and the practical usage and installation of it for you. This is due to the team at locksmith Birmingham always keeping up to date with the new technologies, and the new products that come to the industry market. In using their experience to incorporate it into the best individualised security solutions for their customers, always providing you with the best customer service, you are sure to be able to expect only the best from the Birmingham service. The friendly team at locksmith Birmingham come with a good reputation of listening to their customers and catering for their customers specific security needs, always being able to advice on solutions for each and every security situation, whether for your private home or for your business premises. Of course they provide a wide range of every day services here as well, anything from key cutting to comprehensive alarm systems. So if you are wondering anything, get in touch with locksmith Birmingham today, they will be sure to answer any questions you have. You can call us any time of day or night as we offer a 24 hour call out service. So no matter what the time of day or night, you can rest assured that we will always be there in your hour of need. Even if all you need is a new set of keys, Locksmith Birmingham have a key cutting service that will see you right in no time at all! Just ask our friendly service personnel. Here we offer a full range of quality services, at great prices, so all you need to do is choose which one is right for you. Most of the time, Locksmith Birmingham can easily access, fix or replace a lock in no time, but that isn’t always the case. For example, a key might snap in the barrel rendering it useless. in cases where a lock cannot be accessed by normal means, Locksmith Birmingham will endeavour always use non destructive entry methods where possible. . We know you respect your property, so we do too. Your security is our priority. Here, we use the most up to date tools and security lock systems and we promise to take every step possible to maximise security for your peace of mind. Locksmith Birmingham employ the highest quality trained lock technicians who have the know-how to complete any job, regardless of size or challenge. Here you will find a service that will cover all types of locks, providing you with an unbeatable quality service time after time. There’s nothing we can’t do! We know an emergency means most people will take the first quote that comes their way. However, Locksmith Birmingham guarantee to match, if not beat most other locksmith quotes, so try us first! Many people are worried about the quality and security of their old cylinder locks. But why should you be one of them? Call the Birmingham team and we will gladly fit brand new, anti snap locks to your commercial, residential or industrial property. Call us today for a free quotation, and see how Locksmith Birmingham can help you!